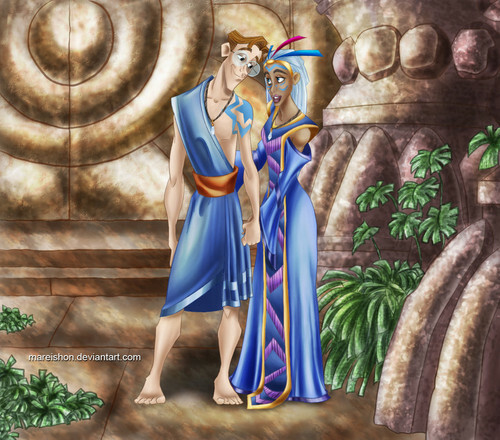 Milo and Kida. Atlantis: The 로스트 Empire. HD Wallpaper and background images in the Disney's Couples club tagged: disney couples milo kida atlantis the lost empire disney. This Disney's Couples fan art might contain 벨 and 녹청.